As that jolly bearded man makes his way around the world on his red nose reindeer powered sleigh, spreading joy, I thought it would be fitting that I post a pic of a car with a red nose! To all you LaLD guys (and gals), Merry Christmas, Happy Hanukkah and Happy Kwanzaa (f u Ann Coulter!) and in general a very happy Holiday season! This, obviously, is a 2006 (?) Dodge Viper GTS-R in 1/36 scale from Kinsmart. I am not sure when I bought it, but it has definitely been with me since I moved back home to India in 2009. 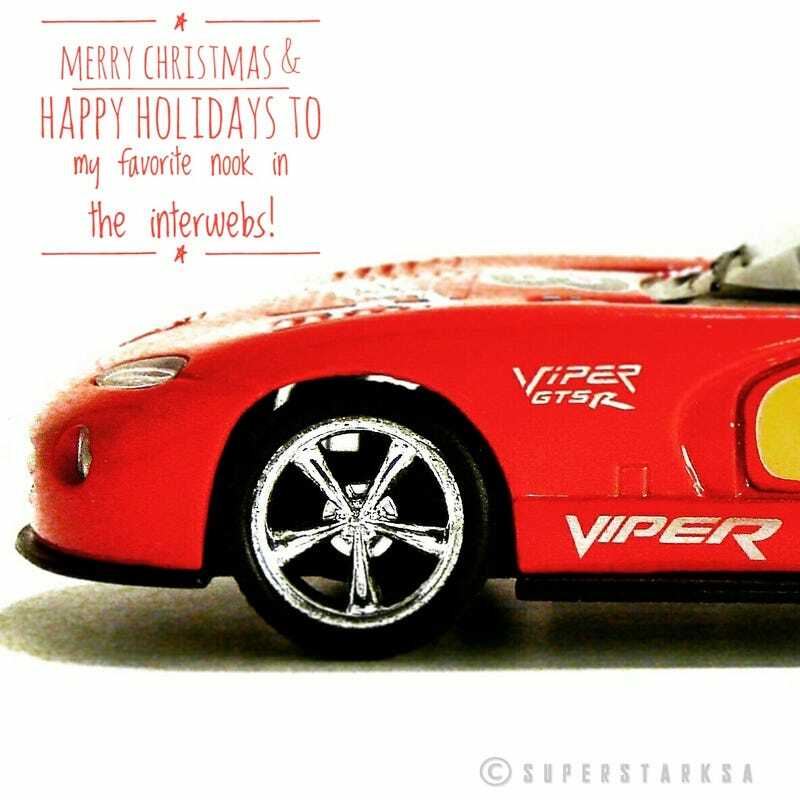 While I love the Viper, I am not sure I like the arguably kitschy go-fast decals on this one. So I am on the lookout for another 1/36 or 1/43 with a simpler racing stripes.